FIAT of Daytona Beach features the latest manufacturer offers and incentives on all new FIAT vehicles. Discover which offers are best for you and drive off in a new car today. Benvenuti a FIAT of Daytona Beach! Getting behind the wheel of a FIAT from FIAT of Daytona Beach is about much more than just buying a car. It’s about becoming part of a story that goes back over 100 years which centers around a vehicle that has become an icon in automotive history. 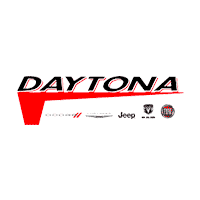 Your part in this story begins with a visit to FIAT of Daytona Beach where our team of FIAT enthusiasts are eager to introduce friends and neighbors in the Greater Daytona Beach area to the entire line-up of lifestyle-transforming FIAT vehicles. Take a few minutes to browse our online inventory Then arrange to come in for a test drive and experience that magical first moment as you ease into the diminutive but dynamic all-new 500X. Once you find the vehicle you want you’ll see that buying one is almost as enjoyable as driving one. From finding a payment that works for you to arranging for financing, our sales consultants are trained to make every step of the process quick, easy and fun. After all, this is a FIAT dealership! The FIAT 500 is one of the most famous cars to roll off the assembly lines in Europe. Today we are proud to offer our Daytona Beach neighbors the opportunity to own one of these legendary and fun to drive cars at great prices. We’re sure that you’ll enjoy your buying experience and your new FIAT so much you might even find yourself speaking Italian. Come in today for your test drive or call us to make an appointment. We are located at 1450 North Tomoka Farms Road, Daytona Beach, FL 32124 or you can reach us at 386-271-3584. Saremo lieti di darvi il benvenuto! Ciao di FIAT of Daytona Beach!